That's a wrap! 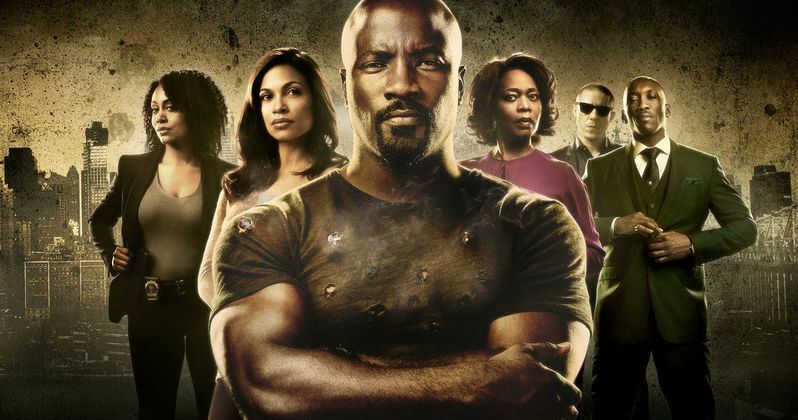 While no official announcement has been made by Marvel or Netflix, someone has let the cat out of the bag and it looks like Luke Cage season 2 has finished filming. Actress Gabrielle Dennis, who joins the cast for the show's second season, recently took to Instagram to share a handful of photos she took at the wrap party. Where there's a wrap party, there's a production that has wrapped, so Luke Cage season 2 is one step closer to release. Here's what she had to say about it in one of her posts. "Some of you may know that I've been working on @marvelslukecage the past several months and last night we got to celebrate a little...HUGE thanks to creator @cheo_hodari_coker and all the producers like @mashaka74 who had a hand in bringing me on board this season! I can NOT wait for you all to catch SEASON 2...coming soon...I just don't know when yet lol #AboutLastNight #LukeCage #Season2 #WrapParty #GabrielleDennis #Tilda#Netflix #Marvel #Grateful #CantWait"
Luke Cage season 1 proved to be a huge success for Marvel and Netflix, following in the footsteps of both Daredevil and Jessica Jones. The series was renewed for a second season last December and started production over the summer. While plot details are being kept tightly under wraps for now, there's hope that Iron Fist could hop over for an episode or two and finally deliver some of the Heroes for Hire action fans want so desperately. As for Gabrielle Dennis? She's playing Tilda Johnson, a character described as a "brilliant, holistic doctor with a complicated history in Harlem where, as much as she tries to stay far from trouble, it seems to always find her". There was some cause for concern recently, as Disney has announced that all future Marvel shows are going to be produced for their streaming service, which is set to launch in 2019. However, it's since been clarified that the Marvel shows currently on Netflix will remain on Netflix, as will all future seasons of those shows, in addition to any possible spin-offs. So Luke Cage and the rest of The Defenders will have the same home. At least for the foreseeable future. It's expected that Jessica Jones season 2, Luke Cage season 2 (which have both wrapped production) and Daredevil season 3 are all going to debut on Netflix in 2018. While no premiere dates have been announced, it's likely Jessica Jones season 2 will air first, with Luke Cage season 2 coming after. So expect to see Mike Colter back in action next summer as Luke Cage. And let's not forget about getting to see Misty Knight with her bionic arm! You can check out Gabrielle Dennis' photos from the Luke Cage season 2 wrap party for yourself below.